Ain't this something nice for restaurants? its the Sand creature which ate boba fett. I think it also had a cameo in "Dune"
#6 - I agrree, never thought I'd say it about a table, COOL!! all the people who posted "first" are RETARDS !!! Cool, but wouldn't use it.. Round tables are just to inefficient.. Unless your hammered, then they are easier to get around without getting injured..
how come no one gets hurt? It looks like it could eat you. 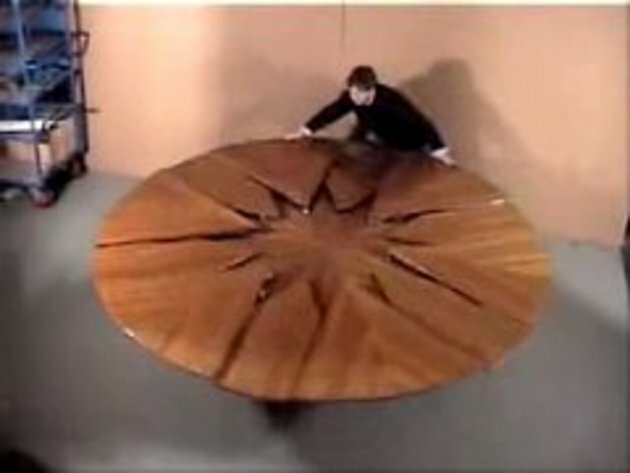 I want to know where to get this table - I want one. Or the instructions on how to build one. That's a badass table. Very cool! Nice to see real craftsmanship isn't dead. Ikea, eat your heart out!